Miracle was shown on 8th April. It will soon play in ten cinemas across London. This is a documentary about the Latvian writer and poet Knuts Skujenieks, who was published but forbidden until the fall of the Soviet Union. He has since been translated into more than 30 languages, but has only made it into English recently. This film provokes the viewer to review their own existence and being in this world through the prism of the Zeitgeist and personality of the poet Knuts Skujenieks. The film reveals the eternal struggle of a strong personality coming to terms with a society and system in which an individual is seen as the minimum, never as the maximum value. Knuts Skujenieks is not a macro revolutionary aiming to change the system but is rather a micro rebel in his own inner world. Convicted of anti-Soviet activity, Skujenieks served a seven-year prison sentence in the Mordovia gulag. While there, he sent many poems in letters to his wife. These were were first published in 2002 as Sēkla sniegā (Seed in Snow). Prior the screening, the audience will be invited to join a discussion panel moderated by visual artist Simon Puriņš with the poet Kārlis Vērdiņš and the director of the film, Ivars Tontegode. 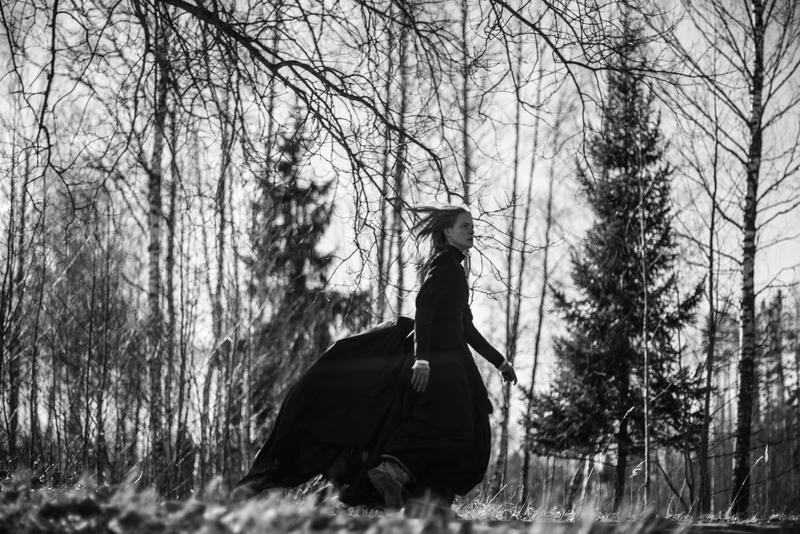 The story is set in a pagan Estonian village where werewolves, the plague, and spirits roam. The villagers’ main problem is how to survive the cold, dark winter. And, in order to achieve that aim, nothing is taboo. People steal from each other, from the German lords of the manor, and from spirits, the devil, and Christ. To guard their souls, they’ll give them away to thieving creatures made of wood and metal called kratts, who help their masters by stealing more. They steal even if their barns are already overflowing. Stealing is an obsession that makes the villagers more and more like the soulless creatures they command, the kratts. The main character of the film is a young farm girl named Liina, who is hopelessly and forlornly in love with a village boy named Hans. Her longing makes the girl become a werewolf and jump into an ice-cold pond. She’s ready to die in the name of love. The film is a cinematic feast, which has so far been screened at forty festivals and received ten awards. The film is based on Andrus Kivirähk’s novel Rehepapp and has been adapted & directed by Rainer Sarnet. The event will be introduced by the historian Mart Kuldkepp.